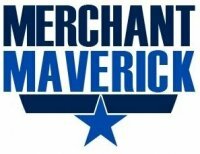 Gotmerchant.com received a 5 star rating from a credit card processing review site called Merchant Maverick about a week ago. I would have posted something sooner, but things have been super busy lately. I was very excited at the time, but that hasn’t completely worn off quite yet. I never heard of this web site until they reviewed us, so that should tell you it is completely unbiased. I learned about it through Google Alerts as I have our company name monitored using Google Alerts. Anytime someone posts anything new on the web using our company name, we receive a notification. This is a great customer service tool. It allows you to find out if anyone is posting negative comments about your company so you can address their concerns and resolve it. Hopefully, you can convert that unsatisfied customer and protect your reputation in the mean time. I’m surprised I haven’t found Merchant Maverick before as I consider myself very up to speed with our industry and everything that goes on. I managed to look through the web site and believe they have done a great job. It is a great resource for anyone wanting to find a merchant account provider. It is jam packed full of reviews on dozens of companies. It is also great that we received such a high rating. There are a lot of great processing companies out there and Gotmerchant.com is truly one of them that does everything possible to bend over backwards for its merchants. No company is perfect, but we sure try our best to be one. I’m thrilled that an outsider such as Merchant Maverick has been able to see this. We are not a huge conglomerate like FirstData or Chase Paymentech, but that allows us to focus on our merchants and their individual needs.